Prior Scientific are pleased to announce the release of our Queensgate NanoScan NPC-D-6000 Series Multi-Channel Closed Loop Controllers. 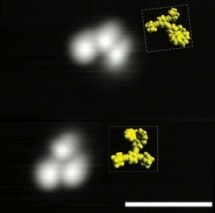 Scientists at Rice University and at the University of Graz, Austria, have for the very first time observed the movement of three-wheeled, single-molecule “nanoroadsters” by driving these nanoroadsters with light. PI (Physik Instrumente) L.P., a leading manufacturer of nanopositioning and precision motion-control equipment for nano-biotechnology, metrology, and photonics applications, introduces the PIHera Z flexure-guided piezo nanopositioning stage, offering record travel ranges of 50 µm to 250 µm (400 µm open-loop). In fundamental research, materials science and industries such as semiconductor processing, life-sciences or manufacturing technology, piezo drives are used for the most challenging positioning tasks. 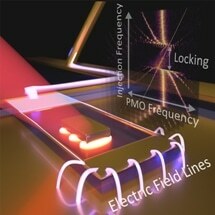 The nano precise alignment of these devices – often multi-axis configurations – is a very crucial factor. Despite the progressing automation, it is sometimes still necessary to control positioning components manually. This is e.g. the case for particularly sensitive or complex set-ups, such as used in laboratory operation or for testing purposes. The MICI Piezo Micrometer Screw Drive from piezosystem jena is a hybrid element that combines the advantages of long travel of micrometer screws, with the nm-accuracy of a piezo stage. The NPXY200-401 nanopositioning stage from nPoint is a piezo driven, flexure guided stage, designed for high speed and nanometer precision. The stage has a large aperture (68mm X 68mm) yet is very thin (17mm). With a position noise of 0.7nm the NPXY200-401 provides the accuracy necessary for today’s advanced applications. When paired with the LC.402 DSP controller, the system provides closed-loop capability via capacitive sensors. A new, low-cost cubesat mission led by the Johns Hopkins Applied Physics Laboratory in Laurel, Md. will demonstrate technology needed to measure the absolute imbalance in the Earth’s radiation budget for the first time, giving scientists valuable information to study our climate.